Meet Nessie the sea dragon. No, she’s not the monster that has popularized a certain Scottish loch, but is in fact a very real animal related to seahorses and pipefish that roams the weedy beds off the coast of Australia. Like a dragon, Nessie has a plated body to protect herself. She is one of the masters of camouflage, a method of crypsis many animals use to conceal themselves from predators. 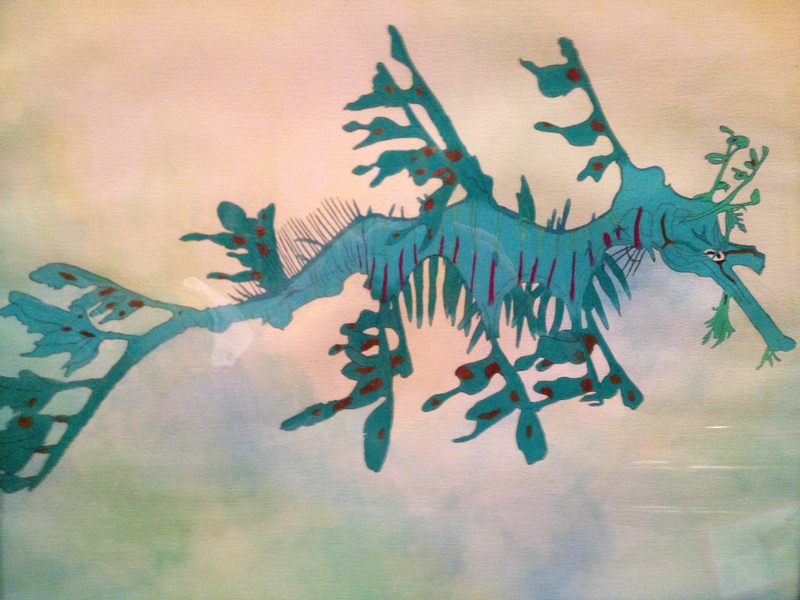 There are two types of sea dragons, the leafy sea dragon and the weedy sea dragon. Nessie is a leafy seadragon, and indeed she looks just like a leaf to blend into her seaweedy surroundings, swaying in the water to heighten the masquerade. Nessie spends much of her life floating happily in the seaweed beds, sucking up microscopic food out of the water with her long snout. 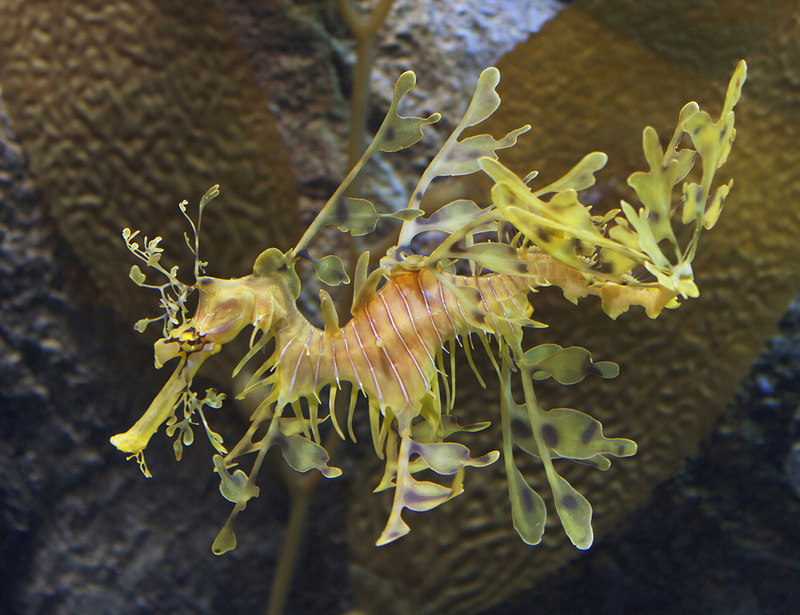 In fact, sea dragons have been observed to remain in one location for up to 68 hours, just eating. But when it comes to courting a male, she departs her rather mundane life of plankton-slurping and embarks on an epic romance. Well, epic for a fish. When it comes time to find a partner, sea dragons perform a special courtship dance in spring under the fading light of sunset. In the video below, Nessie and her mate mirror each other’s every movement in this elaborate courtship ritual. 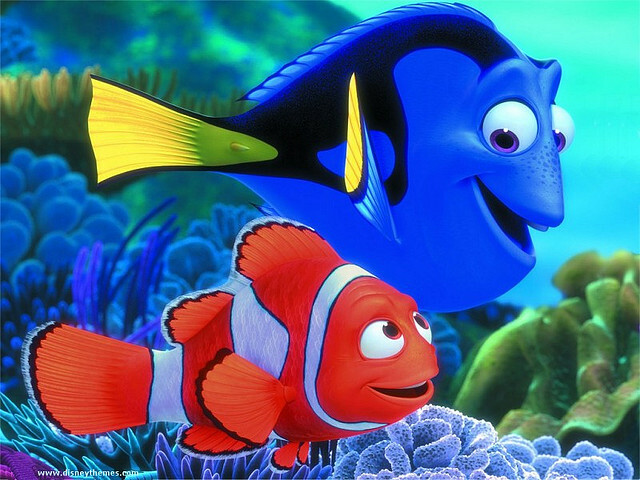 Perhaps you wouldn’t normally think of fish as being hopeless romantics, but it gets even stranger. After the courtship ritual is complete, the male is “pregnant.” Like the sea dragon’s cousin, the seahorse, the male protects and provides for the eggs during their development. You see, the dragon dance is not just a dance. During the courtship ritual, the female lays 150 to 200 eggs in an area under the male’s tail called a brood patch. The father’s blood feeds the eggs for two months, then the eggs hatch and fully formed baby sea dragons emerge, ready to brave the world completely without aid from either parent. Seahorses, sea dragons, and pipefish are the only fish species in which the males carry and raise the young. These special fish are subject to many threats, but the sea dragon is an example of a conservation success story. In the early 1990s the Australian government placed a complete protection on sea dragons (the leafy sea dragon is the official marine emblem of the state of South Australia), and since then their numbers have risen so that they are now classified as “near threatened.” To raise awareness and celebrate these strange yet beautiful animals, a biennial Leafy Sea Dragon Festival is held in South Australia and an animated short film was made in 2006 and distributed to all primary schools in the state. 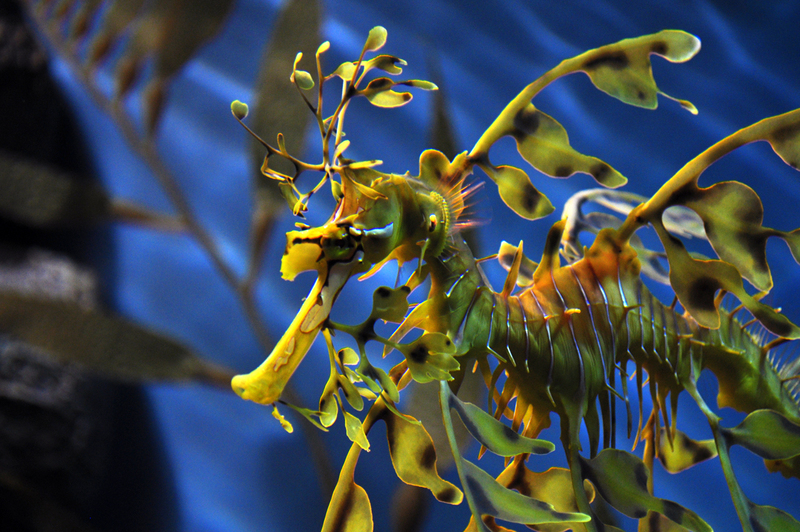 Weedy sea dragons’ populations are monitored in Australia as well. Because of their uniqueness and the intrigue they provide for many people, sea dragons could become “flagship” animals, which are animals that humans have an emotional attachment to, such as panda bears and elephants. 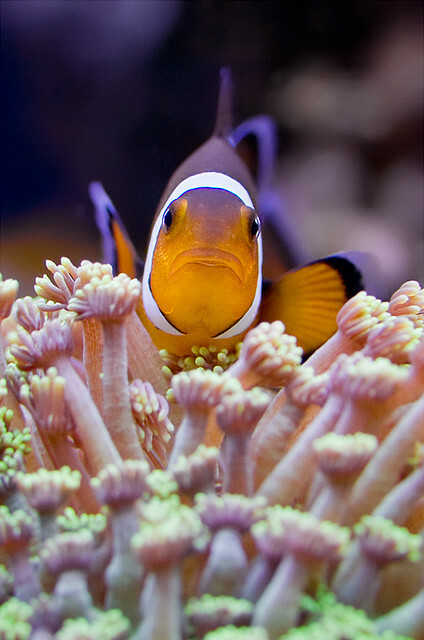 Flagship species are often used by conservation efforts in order to encourage more people to join their cause. Hopefully, with the efforts of Australians and other conservationists, Nessie the sea dragon will enter the hearts of more people around the world. Perhaps then we can focus more of our attention on preserving unique and special animals like sea dragons than the other, admittedly more enigmatic but fictional loch-dwelling Nessie. McCall, Gerrie. 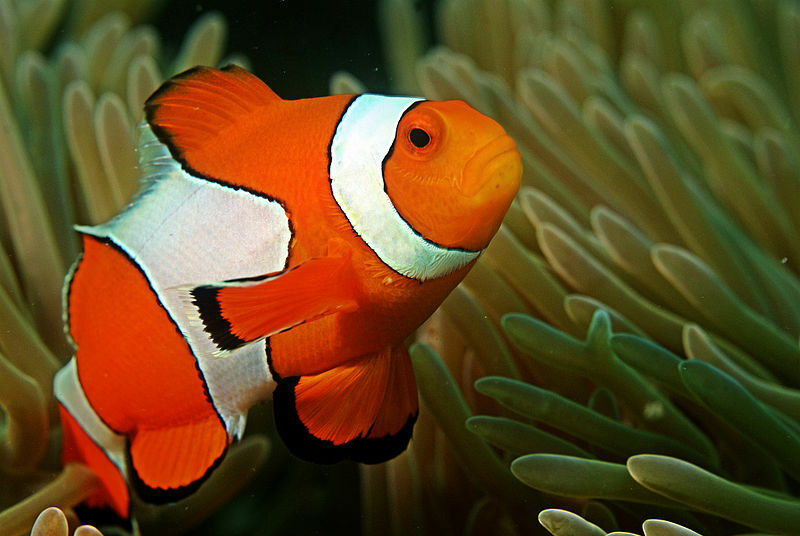 Weird and Wonderful Fish. Nature’s Monsters, Water Creatures Series. Gareth Stevens, 2005. This cuddly creature is a sea otter, or Enhydra lutris, a well-known marine mammal native to the coasts of the northern and eastern North Pacific Ocean. This furry, playful fellow is more than just adorable, however. Otters are a keystone species. In architecture, the keystone at the top of an arch holds the arch together. Without the keystone, the whole arch and building surrounding it will collapse. Similarly, some species of animals are called “keystone species,” meaning that a whole ecosystem, or interplay between living organisms and their surroundings, depends on that particular species to keep it running smoothly. In the 1700s, sea otters along the coast of California were hunted nearly to extinction for their furs and killed by fishermen who thought they were eating too much of the fish they wanted to catch. 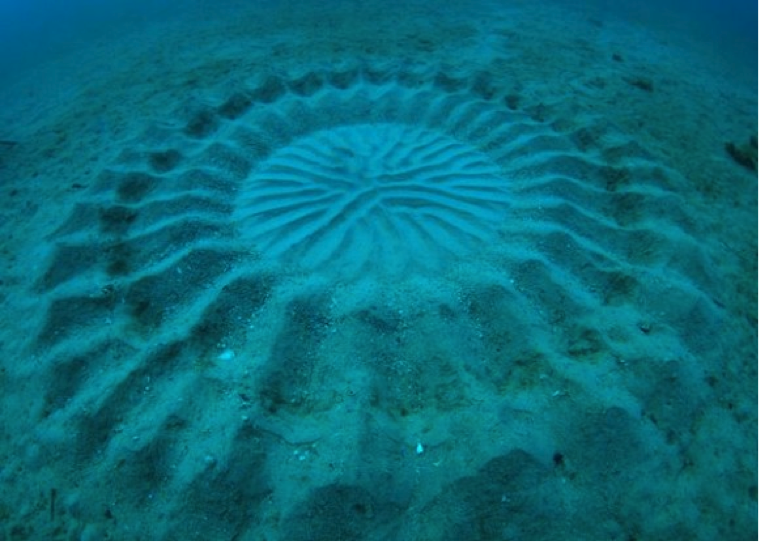 When the otters disappeared, the animals they normally eat, sea urchins, enjoyed a large population boom. Soon, there were so many sea urchins that they ate all of the kelp, a type of seaweed, at the bottom of the ocean, and caused an “urchin barren” to form, which means that the ocean floor is scraped clean and becomes an “ocean desert” in the ocean that is essentially devoid of life. This is bad! 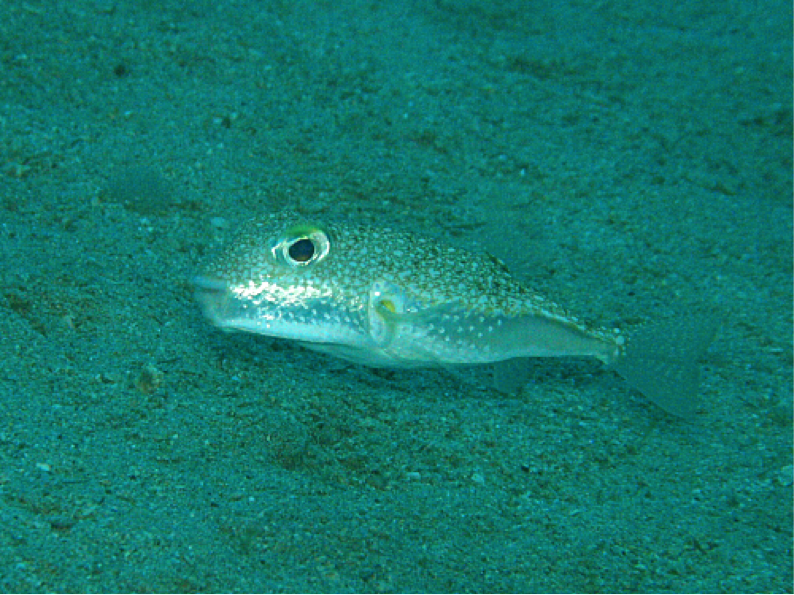 Fish raise their young in the protection of the kelp and other animals hide it in to avoid prey, and all those animals began to flee the scene as well. The fishermen now had less fish to catch, not more. It turns out the otter was playing a much more crucial role in this ecosystem than people previously knew. What happened to the otters? 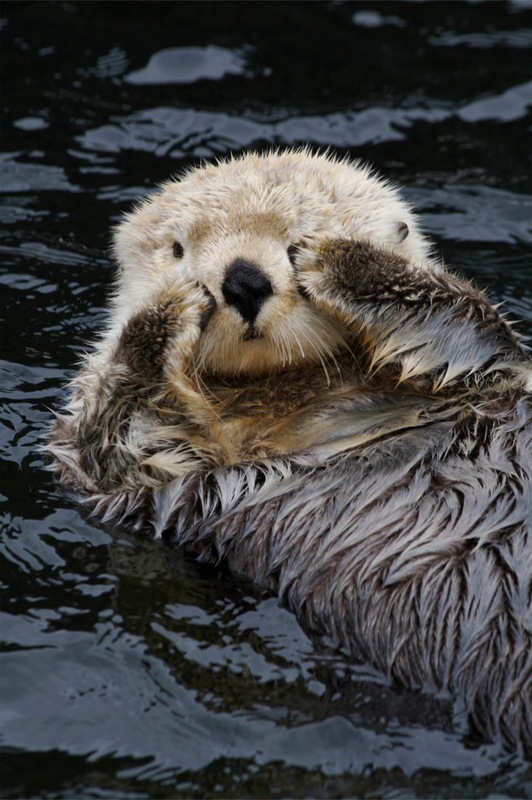 In 1911, a treaty was passed to protect the sea otters from being hunted. In some places, the populations of sea otters recovered, and eventually so did the kelp and fish. But there are still some areas that have suffered near-permanent damage from the removal of just one type of animal – the sea otter – from its home. Now, the sea otter is globally an endangered species, meaning that its numbers are so low that it is under imminent threat of becoming extinct, or dying out entirely. The sea otter’s story shows us that if we take action we can achieve a remarkable success story that seems daunting, if not impossible, at first. Baby sea otter photograph: sflo1822 on tumblr. 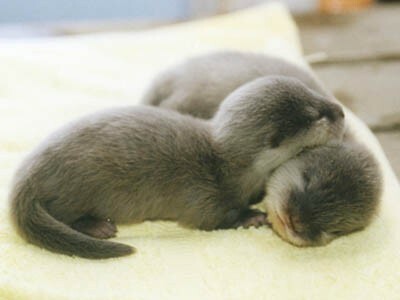 Three otters photograph: jamoore52 on tumblr.